Savita Gupta did not know that her deceased father had kept old notes worth Rs. 83,000 in a bank locker, which was opened on March 6 following an order passed by the district judge. Gupta’s father had passed away on September 10, 2015. Due some legal huddle with her sister about her properties, the locker was not opened till this March. In the meantime, the RBI declared the legal tender of Rs. 500 and Rs. 1,000 invalid. Now, she has approached the Supreme Court seeking a direction to the RBI to allow her to deposit the money under special circumstances. Her counsel advocate Dhruv Goutam appeared before the bench headed by Chief Justice of India JS Khehar and submitted that despite the court order, the RBI has declined to accept the same. The bench said it would hear the plea tomorrow along with other bunch of similar matters pending before it. Gupta said she filed for letter of administration before the district and sessions judge, Shahdara in Delhi, in January 2016 and the proceedings were still pending. During the course of the proceedings, the district judge ordered the opening of the safety locker on January 6, 2017, and for preparation of the inventory of the articles found therein. The safety locker was opened in her presence on March 6, 2017, and the inventory was prepared as directed by the judge. On opening of the safety locker, it was found that 76 Rs. 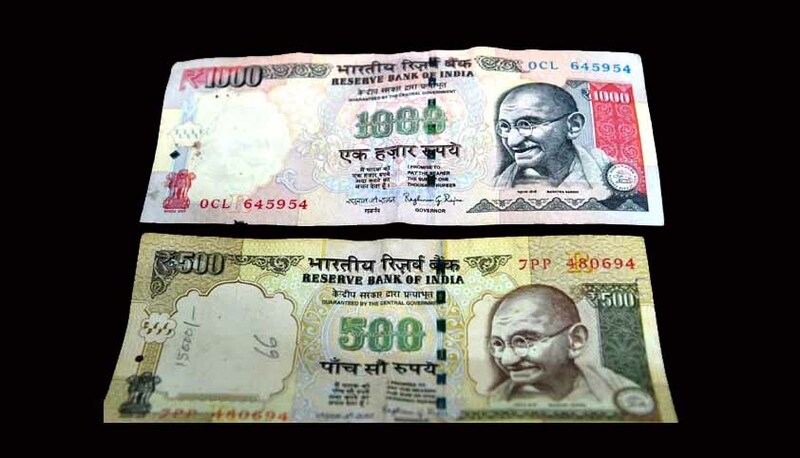 500 notes and 45 Rs. 1,000 notes were also in that locker. However, those notes had become illegal, pursuant to the November 8, 2016, notification and could now be deposited only with the RBI. The petitioner claimed that she personally visited the RBI Delhi office on March 21, 2017, and showed the certified copy of the court order to the designated staff. The said person refused to deposit the old currency notes and stated that their instructions were to accept old currency notes only from persons who were abroad for the duration between November 8, 2016, and December 30, 2016.